2. In a medium saucepan, bring the sugar, water and pits to a rolling boil, stirring until the sugar dissolves. Add the lemon juice and nectarines, remove it from the heat and let it cool down. Preheat oven to 375 degrees. 3. On a floured work surface, cut the log into sixteen 1/2-inch slices. Using a floured rolling pin, roll out each slice to a 3-inch round and place onto the baking sheets. 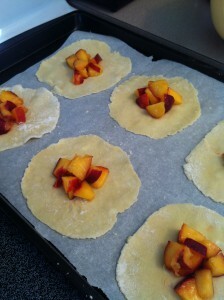 Drain the nectarine mixture well and place a large spoonful on the pastry rounds, be sure to leave border all around. Top the nectarines with a sprinkle of brown sugar. 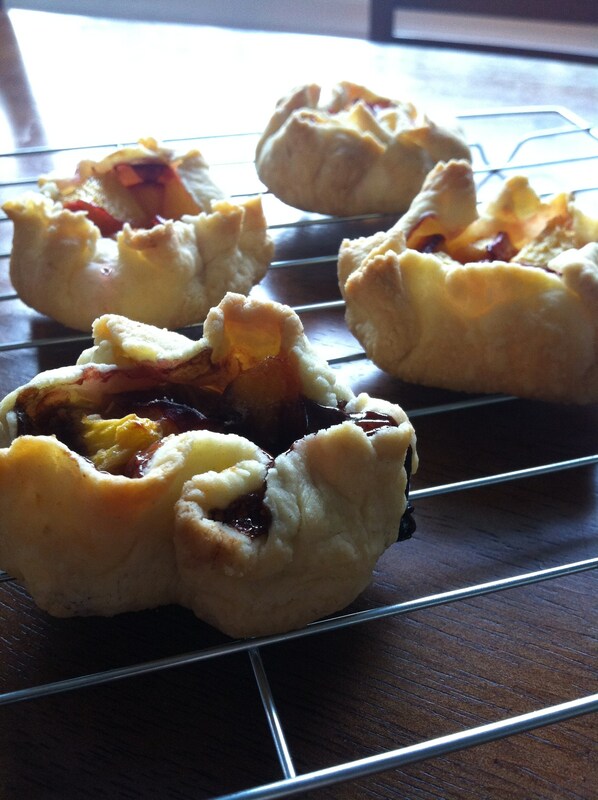 Fold the pastry up over the nectarines and bake until golden brown, and delicious, about 25 minutes.